Austin, TX (GLOBE NEWSWIRE) - Xplore Technologies Corp. (NASDAQ:XPLR) announced today that it is introducing a 6” handheld computer to its expanding rugged mobility portfolio: the Xplore M60. This Qualcomm Octa-Core powered and Android™ 8.0 Oreo™ ultra-mobile device will be available in two enterprise-ready configurations when it starts shipping in June 2018 – with and without a built-in barcode scanner (base U.S. MSRP $1199 and $999). 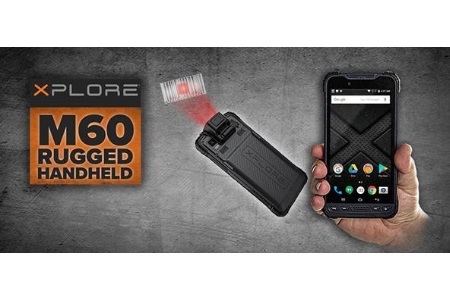 To learn more about the Xplore M60’s full feature set and mobile capabilities, please visit www.xploretech.com/M60. You can also see it first-hand at stand B42 at CeBIT Australia in Sydney from May 15-17, 2018.